Merry Christmas, everyone! I don’t know what turned up under your tree this year, but for my money, Joel and the Fog Creek Copilot team may have the best Christmas present ever. 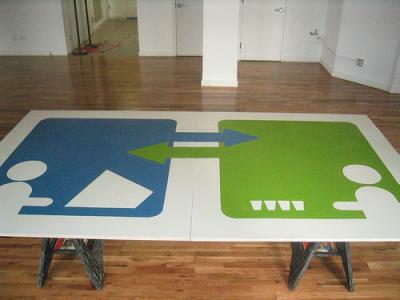 I present to you…drum roll…the beerpong table! Genius. Absolute genius. Now they just need to build them in bulk. I’d be the first in line to buy one for Pi Kappa Nu. Better than the beerpong table… the Beerpong World Series Tournament!